Consistency and persistence, these two are any investor’s best friend if they want to close more deals and raise money. But being a woman and being young at that time, Michelle Weinstein always got it hard in a male-dominated industry before she became The Pitch Queen and most sought sales strategist. People kept telling her she was too young and she didn’t know how to sell, when it was one of the things she did the best. Michelle didn’t give up and kept pushing to overcome rejections and eventually turned her nth no to her first yes. 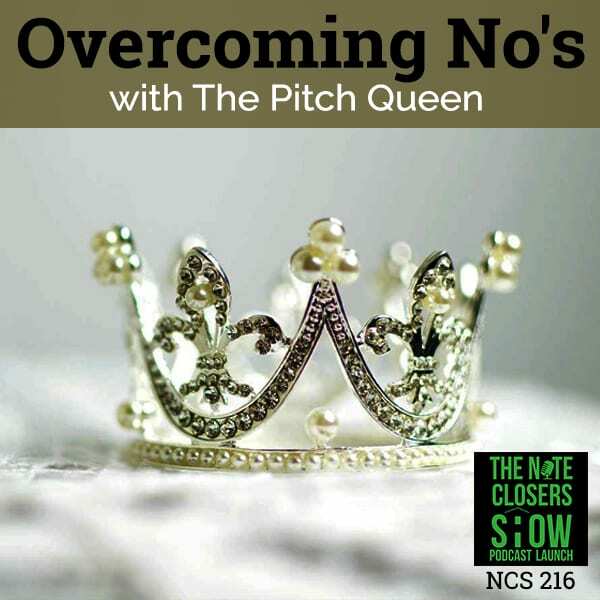 Learn how the Pitch Queen became a business tactician that doesn’t take no for an answer. 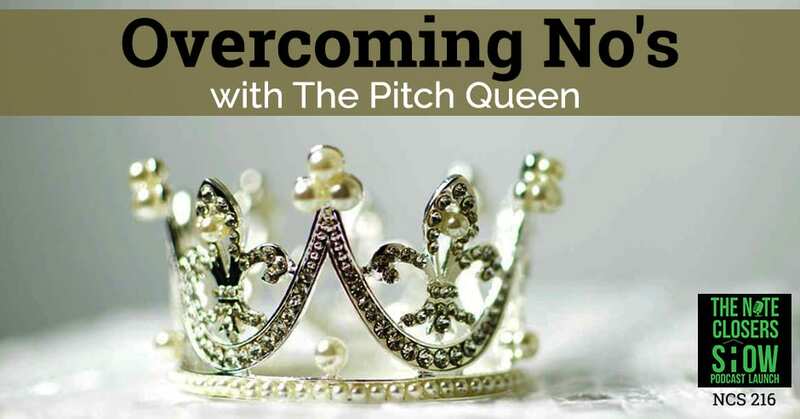 We’re excited to have our good friend, Michelle Weinstein, on here who goes by The Pitch Queen. What’s so great about what Michelle has done is, honestly, this whole thing has facilitated over social media, if you think about it, Michelle, right? It definitely has. We met on Facebook and LinkedIn at the exact same time. To me, it’s what kind of relationships you can create just online. Before even this chat began, he had all these ideas for me. I’m like, “Scott, why do you have so many downloads on your podcast and stuff?” I want to be able to share that with so many more people. I am all about your tips and tricks. We’re glad to have you. You’ve got some amazing tricks and tips as well for everybody. For those that don’t know Michelle, Michelle has appeared on a Shark Tank. She has sold anywhere from $30,000 dresses to coaching and some of her client’s account is The Oakland Raiders. Some of the other things and some amazing stuff that Michelle has done, she is helping entrepreneurs all across the United States ,helping close more deals, raise more money and do a variety of things. Welcome to The Note Closers Show, Michelle. Thank you so much for having me on The Note Closers Show. I’ve sold everything from $30-dresses at Nordstrom, but most of them are more $300 and $30,000-online education programs. Now I’m selling a lot of tax planning, helping CPAs grow their businesses and practices. Anything that I call a high-ticket offer that is my specialty. One of the things that we do here with us being so focused on real estate a lot is that we focus on raising a lot of private capital. You are an expert at that with a variety of things, reaching out to investors, talking with people, and raising capital for causes and things like that. Why don’t we talk about your first pitch and how that has evolved to where you’re at today? When I first started my last company, I was actually in the prepared meal space. I have this massive passion for health and fitness. I totally believe you are what you eat and you should eat really good 80% of the time and not so good 20% of the time. Eating right was always really hard for me. I think because I was so passionate about it and people just saw through it, I ended up raising about $1 million from my last company in equity and convertible notes. It was a combination of both. I literally pitched everywhere that anywhere investors for healthy food were going to be hanging out. I pitched at Nutrition Capital Network in San Francisco and in New York. I pitched for some Angel investment groups, mostly were techs, some were women. Of course, none of them were interested because none of them knew anything about the food business. I pitched to people like Justin from Justin’s Peanut Butter, introduced me to some of his investors. It’s like a catch-22 though because when you’re small, none of those guys really want to talk to you, and you’ve been around the block a little while, you’re not new news. VCs are really difficult to get in front of, but I was able to get on Shark Tank. It was the best experience in my life. It’s like going to the Olympics for an entrepreneur. Everything from the preparing of getting ready for your pitch, all the way down to actually getting in front and standing on that really ugly rug that they had. What was your biggest takeaway from Shark Tank? Overcome Rejections: I would say the biggest take-away from the Shark Tank experience is that you cannot give up. I would say the biggest take-away from the Shark Tank experience is that you cannot give up. You just need to keep pushing. There’s a lot behind the scenes that you never see. I live in San Diego, California. It was taped in Los Angeles. There were a lot of times where you’re considered a local person and they fly people in from all over the country. When I went to pitch, I actually got hair and makeup writing while sitting in my little cell, I would call it. It was literally nothing going on. They sent me home. They’re like, “We ran out of time. You’re local. We’ve got to get the other people taped and they need to do their pitches first.” I got sent home. Then every single time that you hang up the phone with the producer or anything, it’s not real until you see yourself air. There’s always the chance that you go through this whole process and you’re actually never going to air. I’m like, “Okay, okay. Whatever.” “There’s no guarantee that you’re ever going to be invited back to really pitch again. We have to see if we can fit you in.” Not only that day, you have to follow up with the producers, you needed to continue this on-going. This is where The Pitch Queen comes in like you’re always selling. You’re always having to say, “Why should you go here?” I really wanted Barbara to be there that day and how they rotate them out. Then I had to coordinate and convince and really sell the idea to the producers that I really need to come back and try again and pitch again and get in front of Barbara. Even the second time, they sent me home again. It was the third time I went out there to pitch. Hair and make-up, I actually went through the whole process. Some of these pitches take anywhere from an hour to an hour and a half to some are two hours. You only see five or ten minutes. Through this whole experience, I go and pitch. I leave. I’m like, “Okay.” Now, you’ve got to wait until the seasons. This is in July. Shark Tank doesn’t air until the fall, so then you wait and then you’re just waiting for this email to come in your inbox like, “Just so you know, your episode will be live next Friday.” I think it was Friday nights at the time. I was one of the 46 people that got an email the week before the last episode saying, “We’re so sorry but your episode will never air. We really appreciate you for participating in Shark Tank Season 4,” me and 45 other entrepreneurs. I’m like, “You’ve got to be kidding me.” They warned you the whole way through. It’s in the 100-page contract you signed. I couldn’t even talk about it for two years. I just had to sit with that. That was my experience. That experience built so much. I don’t even know all the words to say: grit, perseverance, resilience. You name it, I got it. That was basically like boot camp probably for military people. I’m not in the military but I would like to think that that was extremely similar in some ways, not the same as serving our country, I understand. Definitely going through that process, being in the unknown, being okay with being in the unknown, and being in the unknown for almost six months. From the time I actually got to pitch until the time I got my email saying I’m not going to air like a bunch of other people that got deals, no deals, all of them. It’s a TV show at the end of the day, so if you didn’t fit the mold for good TV, it wasn’t your turn. A bunch of amazing things happened after that. Honestly, I think that’s why I’m able to do what I am able to do today. It was because of that experience. Consistency and perseverance, two of the most major qualities that entrepreneurs have to have no matter where you’re in, what you’re focused on or real estate. Especially in real estate. That is persistent, consistency and more persistent and more consistency. How many people get in there? “I wasn’t cut out for that.” I have so many friends I know. They went and got in and it lasted like a year and they’re like, “No, I’m not cut out for this,” a lot of people. There’s massive amounts, really. I actually was in real estate before I started my last company. I sold multi-million dollar homes. I was in the mortgage business so I know that world very, very well, and really getting into a specific niche too. It’s very helpful. The niche is what we have done definitely with note investing. I wouldn’t say the black sheep, but it’s more of the Jedi aspect of what we do with helping people out with buying distressed debt and trying to work with the borrowers to keeping the property or having to foreclose if the borrower won’t work with us. You come across a lot of people who have goals and aspirations or they worry about the money side. What would you say to people that you’ve raised capital for or raised money for projects? What are some of the biggest things that you see people mess up on? Another big tip that they could probably need to focus more on that’s probably not thought of. I would definitely say that the number one area if you are raising money and looking for capital from people is to watch out who you take money from. You should do your due diligence on them as much as they are doing on you. That’s one thing I did not do. It has been a little bit difficult. 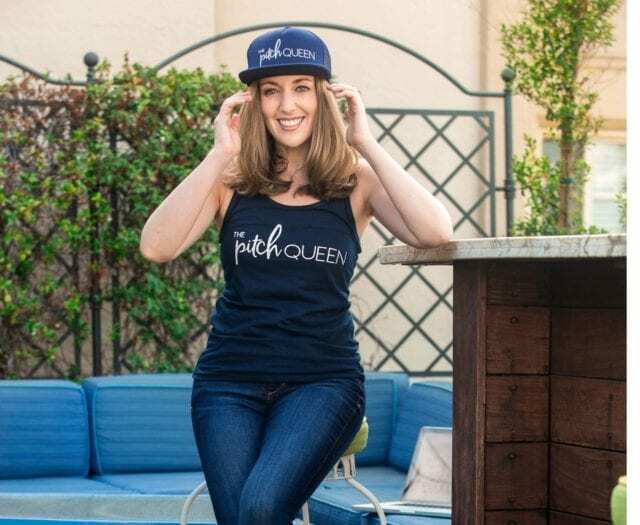 I actually ended up closing my company about six months ago, which is why I’ve launched this brand, The Pitch Queen, and helping people through my podcast of being told no and being rejected and all things of topics of sales because an investor needs to AB an accredited investor. You want to make sure that they’ve invested in other companies that have failed. This is the other thing that I learned when I interviewed somebody on my podcast, John Carter. He said, “I actually go and talk to the businesses that failed and ask how their investors handled it.” I tried everything. I gave it my all. I got into Costco. I got into The Vitamin Shoppe. I pitched on Shark Tank. I pitched to some of the biggest investors. I tried to get national deals with a lot of different companies. We’re just under-funded and under-capitalized at the end of the day. There were some things that I could not control. What I look back about now, six months, there are so many things that I didn’t do when I was getting investment money. I didn’t talk to companies that they had invested in. “Of the ones they’ve invested, how many succeeded and how many didn’t? Of the ones that failed, how did the investor treat that relationship and what happened?” Sometimes if they’re not really good investors and they haven’t invested in ten different companies, then they’re totally banking on you. What happens if it doesn’t work out is they go batshit crazy. That’s the one that I’m looking back at like. Sometimes saying no is saying yes to living life and actually getting things done more efficiently. Would you agree to that? Yes, exactly. To live with those consequences now and my whole about you can take this, go and do this. If you’re going to raise money or you’re going to go ask someone for $1 million or $2 million to go invest in real estate with you, go and find who else they gave $1 million or $2 million to. Ask them how it worked out. Ask them what happened if they lost some of that money. How did they handle the loss? Most investors, when they write a check, they understand they’re parting ways with it. They’re parting ways with their money. They hope they’re going to get it back with a significant ROI, but once they write the check they know that money is gone. That’s how most really professional investors operate. When you meet the non-professionals, it’s a headache. I hope that all of you can do your due diligence on them as much as they are on you. I was in a pretty male-dominated industry with my last company. I would still say to this day that being a woman has not been the easiest thing. I feel like I’ve been up against this challenge my whole career out of college. Even out of college, I was a financial analyst at a company called Moss Adams as an accounting and finance and M&A firm. I would go to client meetings and I was young at the time. Now in this stage of my life, “Michelle, you’re too young. You don’t have any experience.” “How do you get experience if you’re not going to give it to me?” I felt like everything from out of college, even raising the money it’s like, “Michelle, you haven’t run a food company before so what do you know about food?” I’m like, “I don’t. I just know that I know business and I know how to sell so I think I’ll be all right.” To be honest, I didn’t know what I was getting myself into. If you don’t give people an opportunity and a chance, then how are you going to expect them to get experience? I think being a female in a mostly male-dominated industry of food and everything from the food supplier people to the shipping people and FedEx, I think maybe I worked with one or two women; it was all guys. Then we had a niche in pro-sport. Before, dieticians were involved on all the teams which they are now, I’d say majority of the dieticians are female. If you look at everyone I was working with were strength coaches. There is not one strength coach in the NBA, NFL or hockey that’s not a guy. They were buying our food so I was always dealing with men. Maybe I got opportunities for the wrong reasons because I was like, “You’re cute. Here you go, we’ll give you a try,” or maybe I didn’t get opportunities because they are like, “She’s a female and she probably doesn’t know what the hell she’s talking about.” I would say in Costco, it was all men too but they still gave me a try even though there was a lot of, “What do you know about food business?” type questions. The Vitamin Shoppe I was dealing, the operations were men, the buyers, all merchandising were all men. They did choose my company over some others, so maybe it was both. I feel like it was probably 50-50. It worked out well sometimes and not in other times. Then again, I don’t know what I don’t know. I don’t know about the missed opportunities maybe because I was female and I was young. Once I got in my mid-30s, 32, I got rid of the young comments. I didn’t hear those anymore. I actually interviewed someone on my podcast. She was also there on Shark Tank when I pitched so that’s how I met her. It was funny because her business partner actually pitched that day and she was pregnant raising their first round of money. She hid her pregnancy all the way up-hold until the money closed on that round of funding. She probably would not have gotten the funding for her company if the investors knew she was pregnant. She had asked investors previously, “Would you invest in a female founder if they were pregnant?” They said, “Probably not.” She was wearing trench coats and parkas in the summertime in LA going and pitching and raising money. She got the money and she proved to these first investors, and then again went out and raised another round, pregnant again, that she is capable. Women can multitask like no one else. When you can multitask, basically running a company is like, “I have twenty kids.” To add a real baby in the mix, it’s not that difficult for a female but from an investor’s side, I think they still to this day think it’s not okay. I actually had another friend not tell her investors until she was about six months pregnant that she was pregnant, just to make sure it was real. I know a lot of women do still not say anything. It’s a form of discrimination in my mind. What’s the podcast, Michelle, so everybody knows how to find you as well? It’s called Success Unfiltered. It’s really cool because I talk about and I’m sure you deal with it all the time in the business that you’re doing and all the real estate, it’s that you get told no all the time or you get these rejections from random people. How do you keep going? How do you go through let’s say you get a really big blow or you’re waiting on this $500,000 and the money never clears the account? I always say it’s not real until the money hits your bank and sits there for three days. If it’s there for three days, you know you got a good deal. If not, it was a bunch of BS. You never count on it until the money hits. You hope it hits in a timely fashion because not everybody wires at the same speed or they take their time. It’s not the same, but I totally agree with that. A lot of people go, “Michelle, why is your podcast so negative about the no’s?” I’m like, “No, it’s not negative. It’s about you’ve got to overcome it.” If you’re going to do a business and be in business for yourself or like the CPAs I work with, have a practice on your own, you’re going to have people tell you no. You’re going to have people say, “I’m going to go somewhere else because they’re cheaper.” You’ve got to learn how to overcome all that stuff and show your value and show your worth. Actually, I see it as this is a very positive podcast talking about those things. Why doesn’t anyone ever want to talk about this stuff? We talk about the things normally people don’t want to talk about. I love that because too many people or too many shows are after all rainbows and unicorns coming out of people’s asses and not focused on the real nuts and bolts or the real no’s that happen. When I got started in what I did, I made 54 phone calls, I got 53 no’s before I got the first one cold call. I’m a big fan of playing myself with a trick. Every phone call I make, I knew it was worth probably $100 to me, but I knew the sooner I got through a bunch of no’s, the more I was going to make in the backend. That final 54th no made me over $50,000 based on when we finished to close that deal, we closed on a pool. We made $250,000, split five-ways with my four other partners who were helping me with the deal. Almost every no was worth almost $1,000 after the end of it. Those are the games I like to play with myself. We turn the no’s into yeses. We have to understand where those no’s derive from. That’s what we’re going to talk about. Have you any place to start in isolating accredited investors that aren’t going to be looking at you for your youth? I even had some guy email me back like, “Michelle, are the New York Yankees your clients? You really pitched on Shark Tank? Is this really true or is this BS?” I’m like, “Are you serious? Yeah.” I get asked sometimes these questions like, “I just don’t believe you.” I think your resume of your accomplishments, I think you need to have a brag book especially if you’re young and you’ve accomplished some stuff. Make a brag book. That’s what I would do. I didn’t do that before but I would do that today. If I were 25 back at where I was, I would have said how I was top 3% out of 800 loan officers. I would show my commission checks. I would make copies of your commission checks and put them in there to prove that you know how to sell or whatever it is that you’re doing. It’s one of the big things when I was starting to speak, more traveled speaking, in front of audiences and events and stuff like that, having one slide with a few higher points on your brag slide. Why are you in front of the room? You already have a bit of an audience of professionals being there, but why is it important that person’s listening to you if they’re sitting and waiting on you? I think if you are getting the young thing, you can actually overcome that pretty easily by doing a few things. What does the guy do that asked the question? He’s an IT. He’s working full-time in what he does but him and his business partner just closed on 50 individual note deals as a bulk offering just recently this month. He starts using what he’s closed on and his expertise on that, that’s a lot of gung ho-ness when you talk to the next bankers or the next mortgage banker or whatever it is. Make one sheet about that and don’t put your picture on it. If you’re able to help somebody, like I was just helping this CPA who helped a client save about $1 million in tax on the business, on the corporation, and about $400,000 in tax on the personal. We helped sell the plan and strategized how this client was going to do it. The CPA got paid $60,000 or something like that. He feels good. He would have never done all this work for that client before. You only do kind of the work. 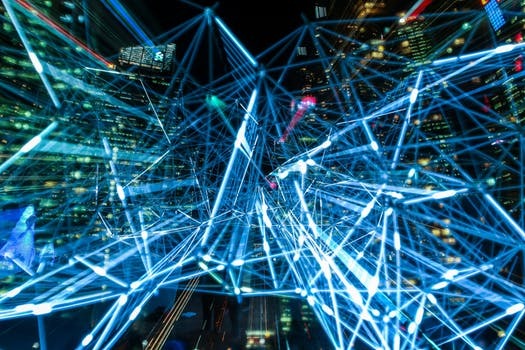 You’re actually doing your clients a disservice when you just give them high-level Band-Aids or high-level solutions that aren’t really that in-depth where maybe that solution would have just saved them $100,000. This client actually had a complicated business and a complicated personal situation where there are a lot of other things that he could have done, and he did it and he also got paid $60,000 for it. If you can change the way you think about it, for the CPA I actually just did him a real service. I didn’t give him just like some fluff answer. I actually took the time, really helped him, and I’m going to get paid a lot for it because I deserve it. I think it’s coming into the diving down. A lot of times, people avoid the money talk, “You’ve got a little bit of money.” If you take the time to dive down, you’ll find oftentimes for investors that they’ve got other money stashed away or sitting there making nothing. That instead of just getting $50,000 to invest, they may have $150,000 or $200,000 in the pipeline. Especially in the real estate area, for all the CPA stuff or what you probably work with, there are so many. My partner who I work with a lot on these things, she’s an expert in tax savings and planning. There are so many loopholes and opportunities that exist. If you don’t go and dive and dig deep for them, then why should they pay you a lot? If you do that, then you can forget to pay the premium. Overcome Rejections: There are so many loopholes and opportunities that exist. It comes down to valuing your time. A lot of people don’t value their time for what they need to and they give away so much and they wonder why they’re not making as much money. Value your time and people will starting valuing you more. Did you had any mentors along the way that have been really instrumental in your success, in your perseverance and things? Yeah. I would say my biggest mentor has probably been my mom. She actually emigrated here from Russia. I’ve seen what coming with nothing and creating a life of abundance looks like. That was my role model. As far as hiring a one-on-one mentor, I haven’t done any of that. I have joined a different group of people that are in alignment with me. Be it a mastermind group here in San Diego that I have with three other female entrepreneurs that have scalable businesses. We’ve been together for eight years. We meet once a month. It’s more of group mentoring, I guess you could call it, but I’ve never got a one-on-one mentor. I’ve also done a lot of personal development classes. I did quite a bit of Landmark education. It was about five or six years ago. It really opened up my eyes to a lot. I didn’t have this crazy life, somebody in jail or some drug addict and all these other stuff that I’ve seen from a lot of people that go there. I think if you can work on yourself in a personal development way, are you coming from a place of authenticity? Are you coming from a place of integrity? If you look at sales and sales conversations, it all stems from that. Actually, I did work with a sales trainer in a sales training program to even up my game a little bit. His name is Marc. He was actually interviewed on the podcast. He is an expert sale trainer, Marc Von Musser. I asked him in the course but it was a group course. It wasn’t one-on-one. I said, “Did you do Landmark or anything because you have that language and you speak that way?” He was like, “No, but I’ve been asked that a lot.” That was really cool to see that my sales conversations have already come from that place. I think a combination of how I was raised, seeing my mom come from a different country and grow up in the state, and emigrating here to being, I would say, a cocktail waitress in college too, that was sales training 101. Then doing a lot of personal development classes, and then in the last twelve months I did do Marc’s program, it was really great. That’s what I’ve done. I highly recommend you go find something. I’ve got plenty of mentors and it’s been worth every payment I ever spent on it to better oneself. It opens you up to new opportunities or just seeing the world and your opportunities in a different light. 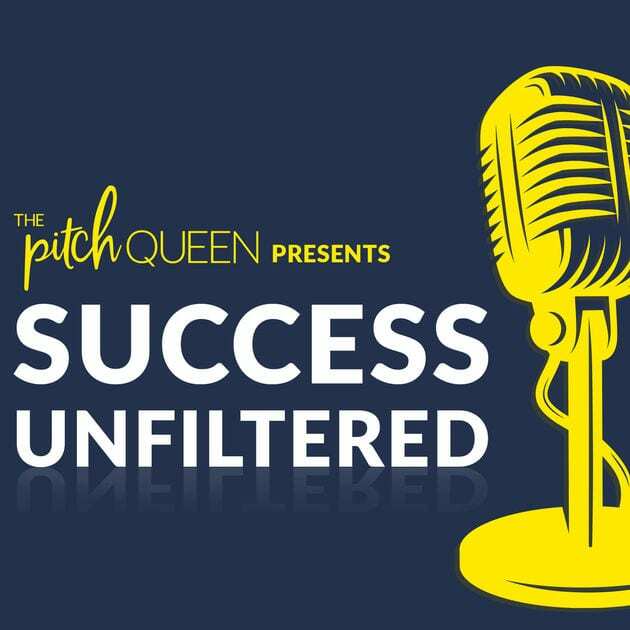 Once again, make sure you check out Success Unfiltered, her amazing podcast. You can find her as the The Pitch Queen as well, our good friend, Michelle Weinstein. I’m so excited at a lot of the things you’ve got going on. We had some mutual friends through the San Diego area. One of your previous business partners I met at a Greg Reid event at Secret Knock years ago. We met online. I think that’s exactly where we met originally back years ago. Then we’re just being friends online and stuff like that. You do an amazing job, Michelle. We’re very honored to have you here on the show. Check it out, Success Unfiltered. Check out WeCloseNotes.com. Thank you. It was an honor to be here.